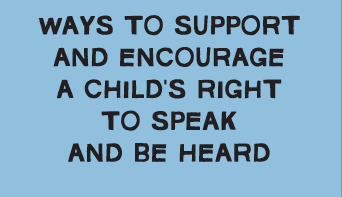 We are pleased to release NAPCAN’s newest resource Ways to support and encourage a child’s right to speak and be heard. To see and download the full brochure, visit our Resource Hub and select the NAPCAN Brochures icon. This resource is currently available online only.